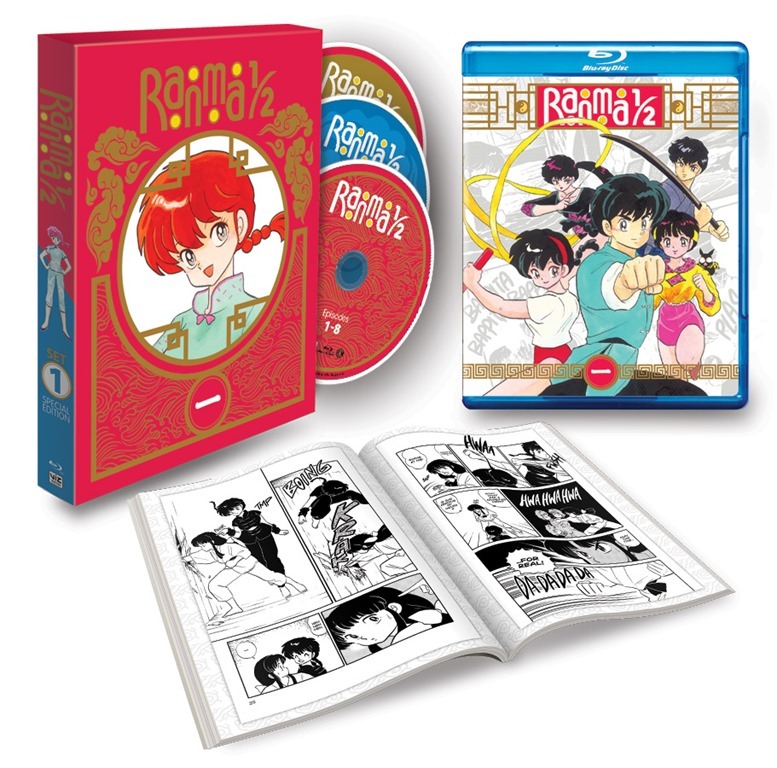 Classic Ranma ½ Anime Gets Limited Edition Blu-Ray Set! VIZ Media is releasing a series of seven Ranma ½ Special Edition Blu-ray sets beginning March 25th. The series’ episodes will, for the first time, be released in the original Japanese broadcast order and will be taken from the original Japanese Blu-Ray masters – yielding a the original 4:3 aspect ration. Bonus material includes: trailers and upcoming episode teasers, footage of the 2013 New York Comic con panel and ‘We Love Ranma’ Part 1 – Manga Re-Mastering interview with VIZ Media Editor Hope Donovan that details some of the processes of the latest manga release.’ For more, check out the press release after the jump. San Francisco, CA, March 17, 2014 – VIZ Media, LLC (VIZ Media), the largest distributor and licensor of anime and manga in North America, is proud to announce the March 25th release of the first of seven sets of the venerable RANMA ½ anime series as a special new Limited Edition Blu-ray Box Set and also as a Standard Edition DVD Set. An extensive selection of bonus features for the Blu-ray Box Set will make it a must-own for North American fans. In addition to trailers and upcoming episode previews, the Blu-ray set includes footage of the packed-capacity RANMA ½ panel from the 2013 New York Comic Con, a highlight reel of the 2013 New York Comic Con VIZ Media events, and an exclusive “We Love Ranma” Part 1 – Manga Re-Mastering interview with VIZ Media Editor Hope Donovan that details some of the processes of the latest manga release. RANMA ½ manga creator Rumiko Takahashi is one of Japan’s most prolific and respected manga artists and is the creator of several long running series including MAISON IKKOKU, RANMA ½, and INUYASHA – all published in North America by VIZ Media. The spotlight on her prolific career began in 1978 when she won an honorable mention in Shogakukan’s annual New Comic Artist Contest for Those Selfish Aliens. Later that same year, her boy-meets-alien comedy series, Urusei Yatsura, was serialized in Weekly Shonen Sunday. This phenomenally successful manga series was adapted into anime format and also spawned a TV series and half a dozen theatrical-release movies, all incredibly popular. Takahashi followed up the success of her debut series with one blockbuster hit after another— MAISON IKKOKU ran from 1980 to 1987, RANMA ½ from 1987 to 1996, and INUYASHA from 1996 to 2008. Other notable works include MERMAID SAGA, RUMIC THEATER, ONE-POUND GOSPEL, and RIN-NE (all also published in North America by VIZ Media). For more information on RANMA ½ and other Rumiko Takahashi titles published by VIZ Media, please visit www.VIZ.com. Previous PostMaleficent Clip: Wings!Next PostGood Grief! It’s Here! The Peanuts Trailer!